USANA, word! : Have you met our newest star? Well the office has been buzzing with exciting news! 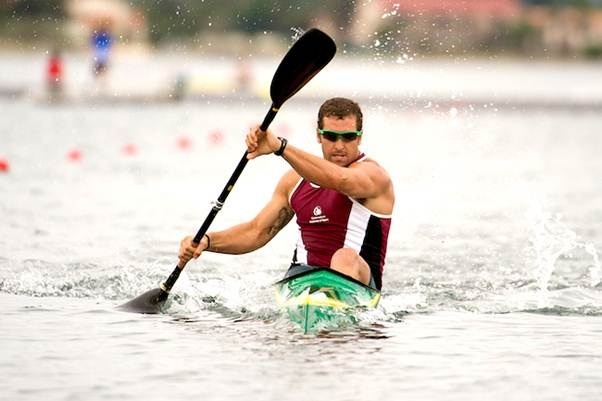 We are very happy to welcome Olympian Kayaker, Tate Smith, USANA’s newest Sponsored Athlete onto the USANA Athlete program! Our new Athlete, Tate currently lives on the beautiful Gold Coast in Australia. Tate always had an interest in water sports and started as a nipper at North Bondi Surf Club in Sydney. After winning the Australian Junior Ski title, he decided he wanted to represent Australia at the Olympics in kayaking and moved up to the Gold Coast. This was when Tate also made the switch from Surf Lifesaving Ski paddling to Flatwater Kayaking. Tate was fortunate enough to represent Australia and race in the K4 1000m event at the 2008 Olympics in Beijing. Since then Tate, has become the captain of the Australian Men’s K4 1000m team, who in 2011 finished 2nd at the 2011 Canoe Sprint World Championships in Hungary. This result was the best for a men’s K4 in Australian history, which is a huge accomplishment! This year Tate will be competing at the London Olympics, so it will be full steam ahead! So get ready to cheer for our latest Athlete, Tate once the Olympics start!